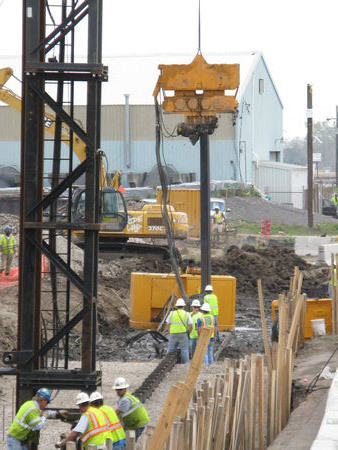 Photo of an ICE vibro driving sheet piling next to the Pilemer being used by Boh Brothers Construction on the same flood control project next to Peters Rd. in Harvey, La. for the Corps of Engineers.